The remaining Winter League fixtures brought disappointment for Hamilton Tennis Club’s teams. 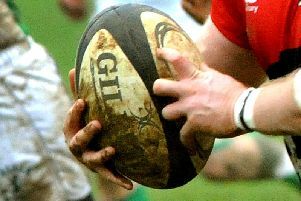 Hamilton’s men’s third team were pipped to promotion by the final match of the season, while the ladies’ third team were relegated when they conceded their last match to their fellow relegation strugglers. * Coaching continues at Hamilton with a full range of adult, beginners and junior coaching every Saturday. This weekend there is free coaching from 9am to 10am as part of Leicestershire and Rutland Sport’s Active Family Week. It is aimed at the whole range of abilities including families, individuals and players with no experience.